Munich - Germany's number one goalkeeper Manuel Neuer has underlined his commitment to FC Bayern München by signing a new contract with the record German champions until 2019. The Bavarian club's CEO Karl-Heinz Rummenigge announced the new deal at an extraordinary general meeting of club members in Munich on Friday night. The 28-year-old, whose previous contract was not due to expire until 2016, has played 29 of Bayern's 32 Bundesliga fixtures this season and remains the untouchable number one choice both of club coach Pep Guardiola and national team coach Joachim Löw. 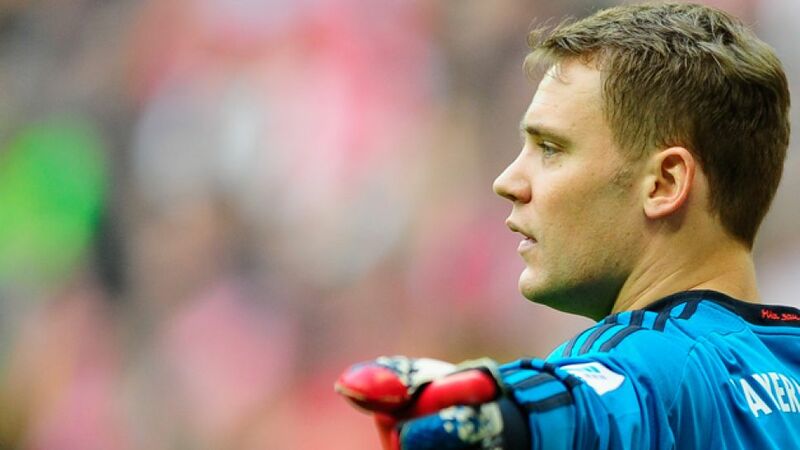 He joined Bayern in 2011 and was last year voted the world's best goalkeeper. In announcing the deal on Friday – just three days after Bayern's bitterly-disappointing UEFA Champions League exit – Rummenigge praised the former FC Schalke 04 custodian for sending out such a positive signal at such a delicate time, expressing his delight that Neuer has affirmed his commitment to Bayern in such a way. "It's a sign of his wonderful character that he has said 'I want FC Bayern forever'," said Rummenigge.